I came into Recovery Bootcamp completely broken down to my soul. I was the epitome of a hopeless situation. I was coming in off a lengthy drinking escapade which landed me in the ICU on life support for over a month. 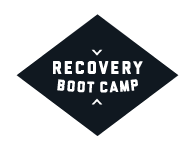 The doctors bandaged my wounds but Recovery Bootcamp put me back together again with the tools to never have to live like that again. Today I have a life beyond my wildest dreams. I never thought it was possible but I will be forever grateful to this place and the people who make it up. It’s a great facility with a great staff. I had no intentions of staying as long as I did when I arrived. I have struggled with adiiction for a while and it wasn't until coming to RBC that I was able to move forward and conquer what was holding me back. The staff is great, the facility is amazing, and the community of guys really makes it easy to facilitate an early recovery! The Program That Really Works! Recovery BootCamp was not my first rodeo in rehab. I've tried multiple different modalities for recovery, and what I've found is that the 12 step program is the only thing that truly works. The way that the break down the 12 steps here is a way that anyone can understand, and the staff are all very knowledgeable and know what they are talking about. The magic truly happens here! I have struggled for more than ten years with dope and alcohol. I tried hopelessly to quit. I try a medical approach, I tried with psychiatrist, with the church, it didn't help, but this place did. They approach in an holistical way, so they target different parts of the complex problem at once, and being a very structured program, they get result in an almost algorithmically way. I came to RBC lost and broken. I had no hope of ever getting sober and really no desire to. After a few days here everything began to change, the staff and other clients instilled a new hope in me and although i didnt believe in myself at first, the guys did and i began to regain confidence in myself. Life very quickly started to get better for me and all my feelings of hopelessness and self pity left me. Now i am living a sober, happy life and my relationships with friends and family are continuing to get better and better. Things i thought were gone and i had lost forever came back to me and i urge anyone looking for help to give this place a chance. I have been to other treatment facilities in the past and none of them come close in comparison to RBC. If you want life to get better, if you’re tired of living life the way you are now, check this place out, it will change your life forever. Came to our drug rehab center struggling for years of opiate addiction. Is now sober and happy. Suffered for years with alcohol addiction. Went through our drug rehab center. Is now a happy and successful alumni. Has struggled for years with alcohol addiction. Came to our treatment center. Is now living free in addiction recovery. Suffered with long term addiction. Came to our rehab center. Now is successful and happy alumni. Loved one came to our alcohol treatment center after years of struggle with alcohol addiction. Is now a happy and successful alumni of our rehab center. Son has struggled with alcohol addiction. Attended our online program on addiction recovery. Has learned a lot. Her son struggled with long term heroin addiction. He came to our treatment center and is now in long term addiction recovery. Following years of struggles with opiates addiction attended our rehab center. Is now a happy and successful alumni in addiction recovery.